Wholesale only. These prices are only available to businesses selling auto products. You will be asked to provide evidence that you resell auto products as part of you business prior to these goods being sent. Please email details of you business via our contact page. The effortless, quicker and green way to look after your car. 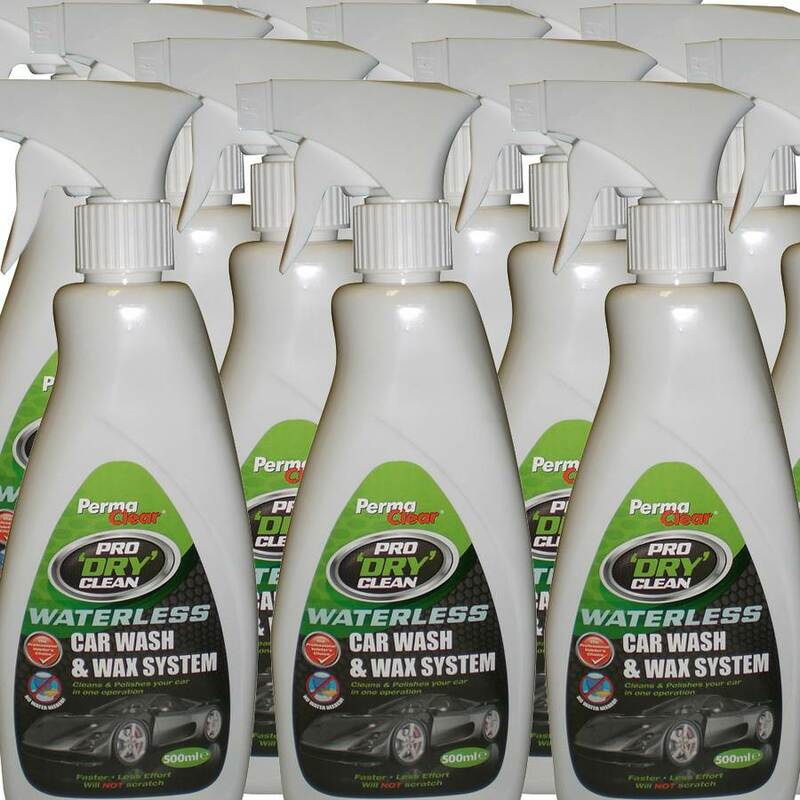 This wonderful product is specifically formulated to wash, wax and protect the car without using any water at all. The special ingredients within the product lubricate and encapsulate the dirt particles and then lift them safely away without scratching or damaging the paintwork and at the same time leaves a durable, invisible PermaClear protective coating. The coating will help to ensure that paintwork on the car remains looking newer and cleaner for much longer. Just spray the product on to the dirty surface of the vehicle and spread it using a good micro fibre cloth to cover a section of the vehicle at a time. Allow to dry for a moment and then just polish off to leave a beautiful finish. PermaClear Pro'DRY'Clean will change the way we clean our cars for good. You should be able to get 4 car washes per 500ml bottle.